Details of the South side are here. 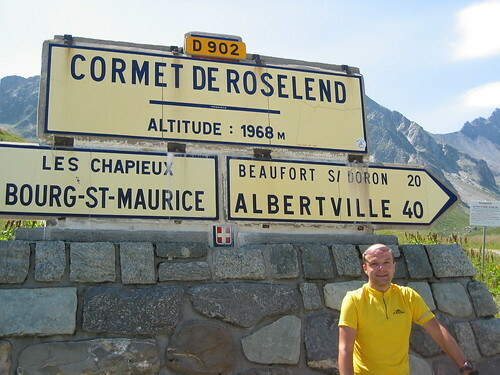 Cormet de Roselend at just under 2000 metres at the summit is a beautiful and challenging climb. 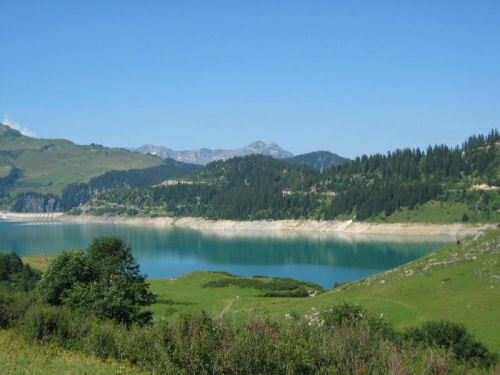 The north side is particularly scenic with a huge alpine lake at 1,600 metres created by a large dam (see photo). 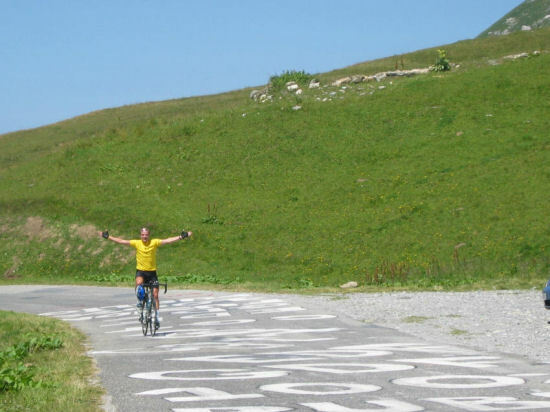 It has appeared more than a half dozen times in the Tour de France, first in 1979, when the Dutchman Henk Lubberding crossed the summit in front. It last appeared in 2005 and will be a part of the 2007 tour. 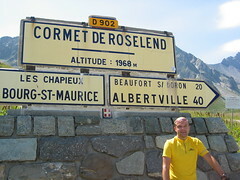 Roselend is part of the Route des Grandes Alpes, so it gets a fair amount of traffic in the summer. 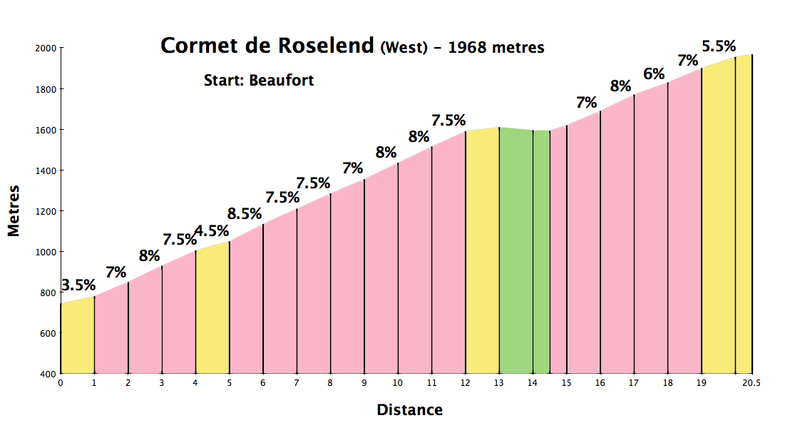 43.3 kms Wednesday – This was the 1st big climb in this year’s Tour de France. 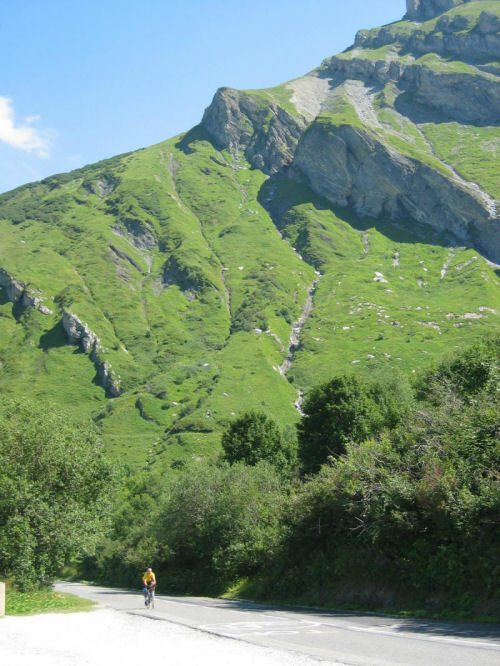 Stunning scenery, and pretty steep. 2/3 of the way up is a dam that creates a lovely blue alpine lake. 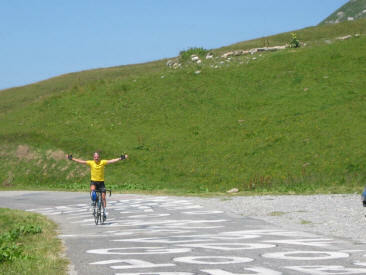 1300 metres of climbing later brought me to almost 2000 metres and great views. HIGHLIGHT (LOWLIGHT?) I was passed by a female near the top – my goodness was she petit and strong. As the French say: Chapeau!